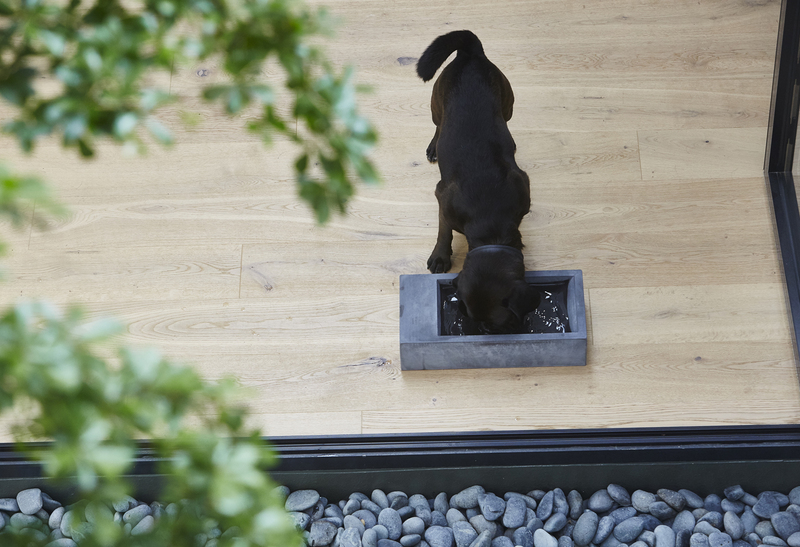 Add a hint of urban cool to your garden with the Trogolo concrete dog bowl. A modern interpretation of the classic water trough, the Trogolo is made from weather resistant concrete and has been designed for easy drinking for all types of dogs. 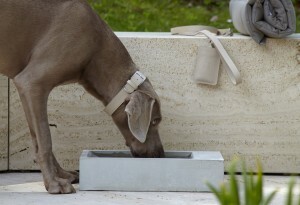 The Trogolo dog bowl is made from weather resistant concrete, which has been designed for outdoor use. 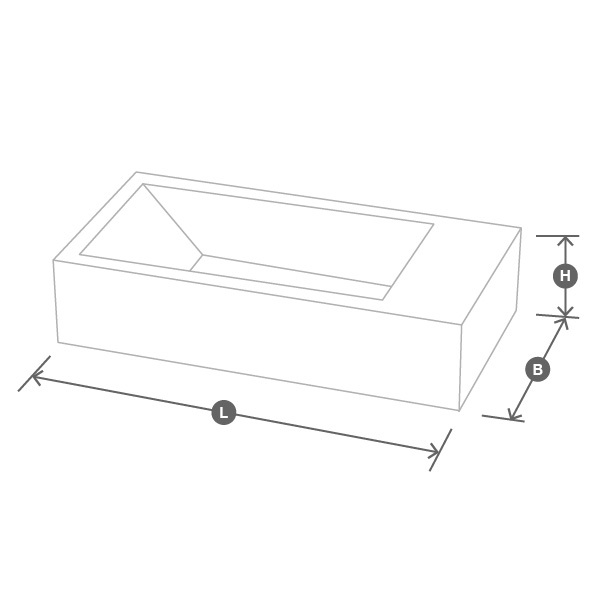 The trough is waterproof, weatherproof and frost resistant when empty. 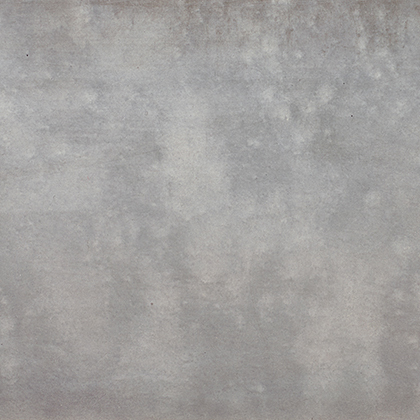 Concrete is a natural material. Small air pockets in the surface structure, visible layers and colour variations are a result of the material and production process. 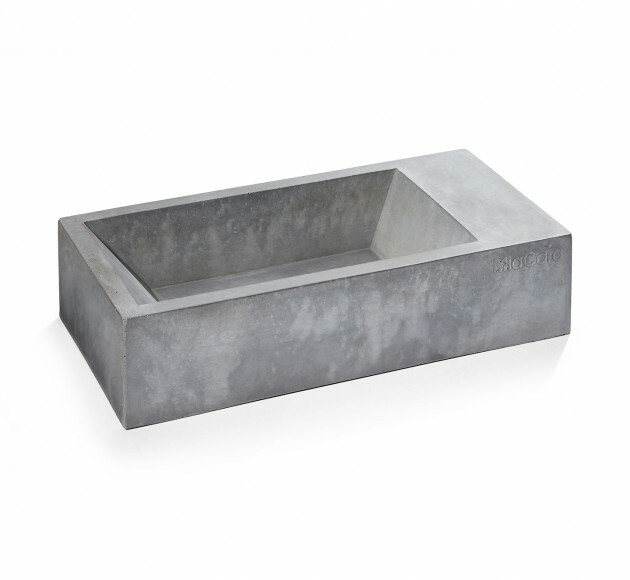 Concrete-lovers will appreciate the unique characteristics of their individual bowl. 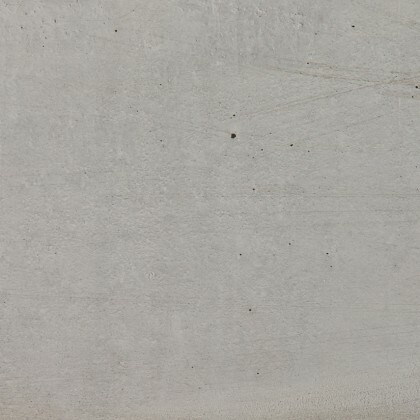 Concrete develops patina over time. 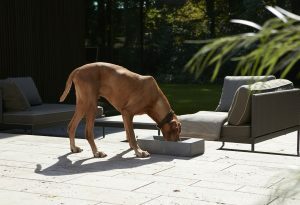 Surfaces can take on stains and edges may show some wear – this is part of the natural charm of each product. 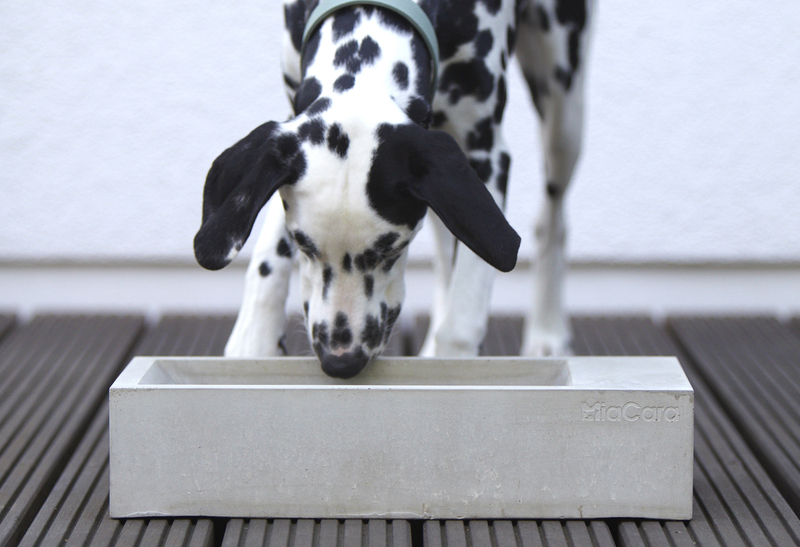 The Trogolo water trough meets hygienic requirements for cement materials in containers for drinking water – making it safe and suitable for this purpose (German Institute for Environmental Hygiene and Environmental Medicine). Each bowl is sealed with a special coating (food safe according to LGA), to prevent the penetration of water, oil and grease, which could cause stains. This keeps any contaminants on the surface where they can be easily wiped away. In case of coarse dirt, we recommend you use a neutral cleaner without acids (no citrus cleaners). Please do not leave water to remain stagnant in the bowl too long as algae may form. 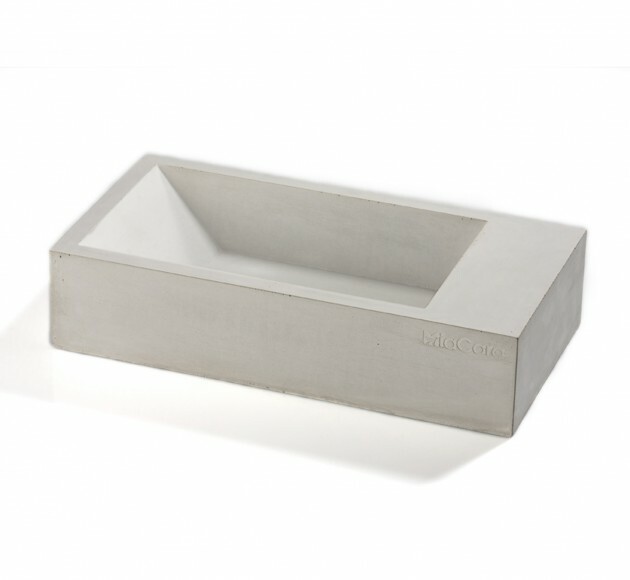 The trough can be easily emptied by tipping it on its side. You can clean and easily refill the trough with a garden hose or a watering can. Trogolo is available in one size.